Inspired by the flax fields in early summer, Belgian Linen combines hints of floral, sea air and warm golden flax. 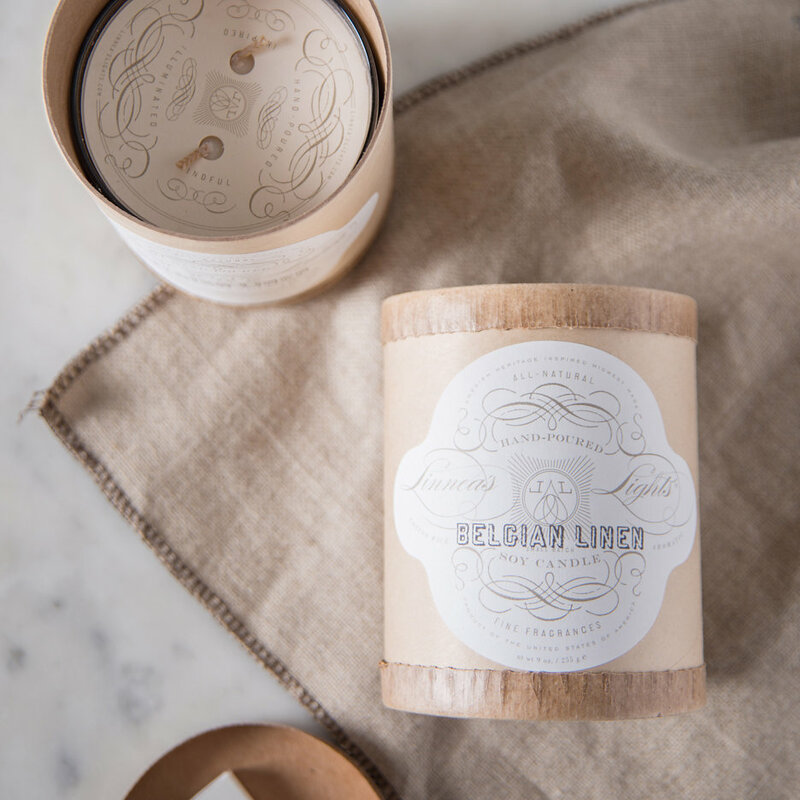 These incredibly fragranced, all natural soy candles, have been hand crafted and ecologically packaged in recycled and recyclable materials. 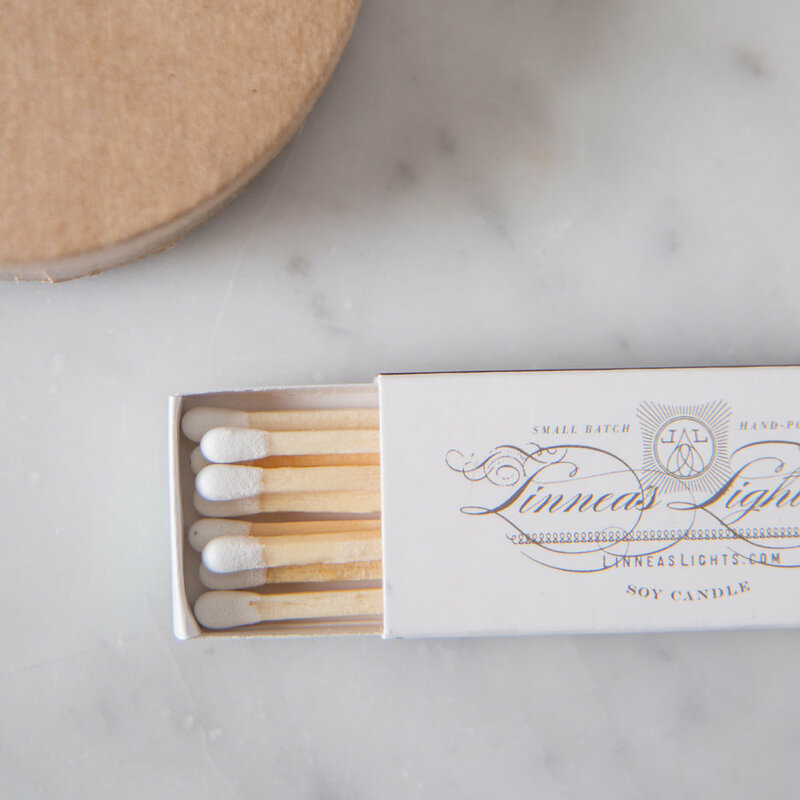 Printed with soy inks and hand stamped, they even have their own match box in the lid. 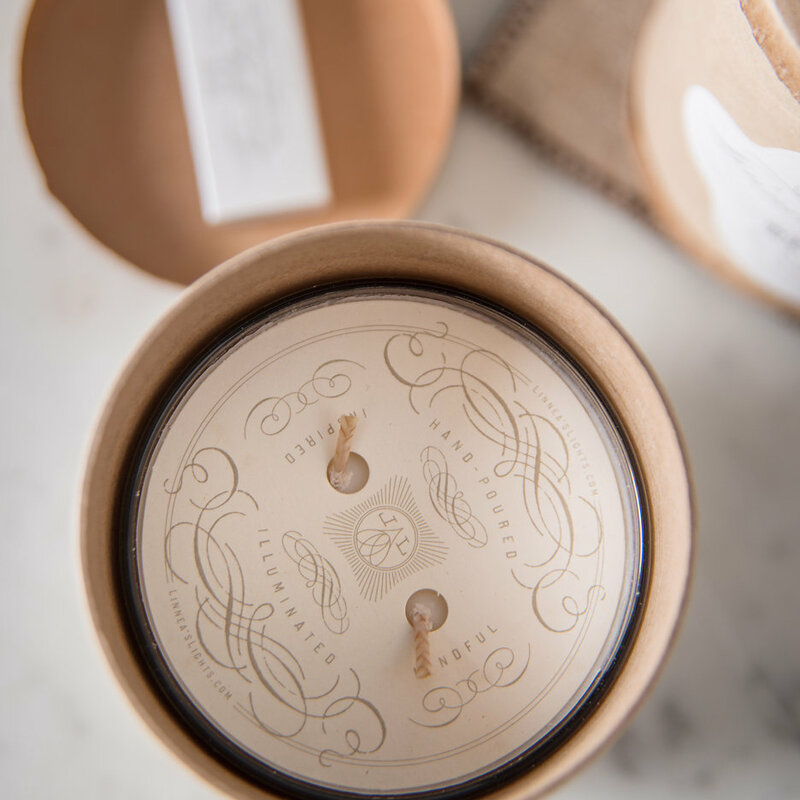 The large candle with its signature double wick has a super long burn time of 60 hours. The small votive candle with single wick burns for approximately 15 hours. 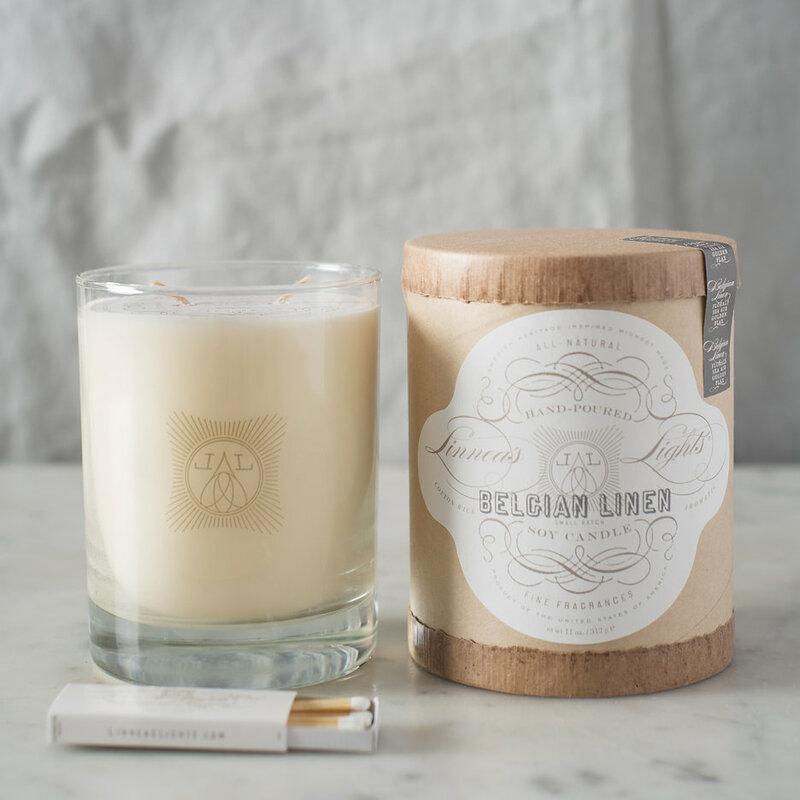 The combination of natural soy wax, lead free cotton candlewicks, pure essences and fine fragrances creates a clean burning, perfectly scented candle. Hand poured in small batches they are created with an unwavering commitment to quality and beauty. We think they make a perfect gift for someone special… or oneself!